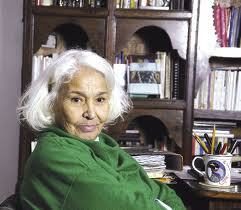 Join us for a conversation with Dr. Nawal El Saadawi. She is a physician, outspoken advocate for women’s rights in her native Egypt and world-wide, and author of more than forty books of fiction and non-fiction. Dr. El Saadawi will be speaking in a public conversation presented by Morgan State this Thursday, September 15th, at 6pm in the Murphy Fine Arts Center.